I rarely ever drink. I don’t like the taste of beer. I do a lot of sports and I think beer is fattening. I hate the way it settles in my stomach. 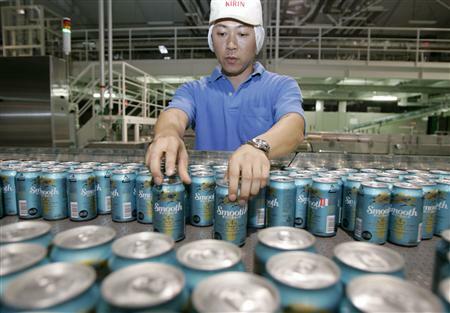 Another trend contributing to the fall of Japanese beer is Japanese consumers are choosing canned cocktail drinks instead. Shochu drinks are viewed as less fattening alternatives to beer. What is true is that shochu has far fewer calories than beer. 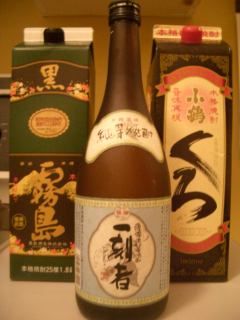 In 2003, shochu shipments actually surpassed sake for the first time in history. A professor at Temple University, Ron Car, also points out that drinking in general has decreased in Japan. Drinking in Japan was about bonding with your colleagues. But Japan’s declining economy shifted corporate structure and it doesn’t require workers to drink together any more.When I first came here in the early ’90s there were still so many drunken salarymen at the end of the year, drinking beer and spilling out on the streets. I’ve seen a huge decline in all that. So the future of Japanese beer brewers is still uncertain as rough economic times are ahead. Drinking is seen as a recreation for most people. Without extra money, most will choose to not cut back on going out and having a beer with friends.